Administrate Tableau Server: manage account settings, sites projects, groups, users, etc. What are the projects included in the course? Perform an analysis of the education system to analyze the performance of different colleges based on gender and ethnicity. Develop a solution that ensures users are able to publish and share their analysis, tools, and discoveries in a convenient and easily accessible environment. Although not required, having a basic understanding of big data and data science is helpful. 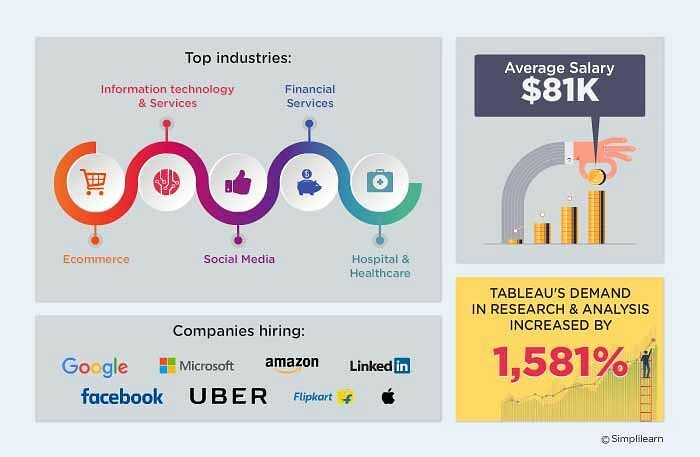 What are prerequisites for the Tableau Server Qualified Associate Certification? 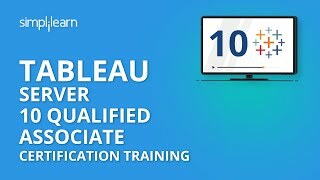 After completing our Tableau Server 10 Qualified Associate course, you need to register on the official Tableau website to schedule your Tableau Server Qualified Associate Certification exam. You will be required to create a LES account before registration. For more information, visit the Tableau website. Complete at least 1 project and 1 simulation test with a minimum score of 60%. Yes. You will earn a course completion certificate after you successfully complete the training program. How do I access the eLearning content? When you’ve paid for the course, you’ll have 24/7 access to the eLearning content for this course on our website. You will be emailed a receipt after the payment is made that will guide you through the process.